Title below the photo says it all really. I'd like to know what the machines are. My grandfather standing, on the right. Added by Paul Sturman on 07 July 2018. 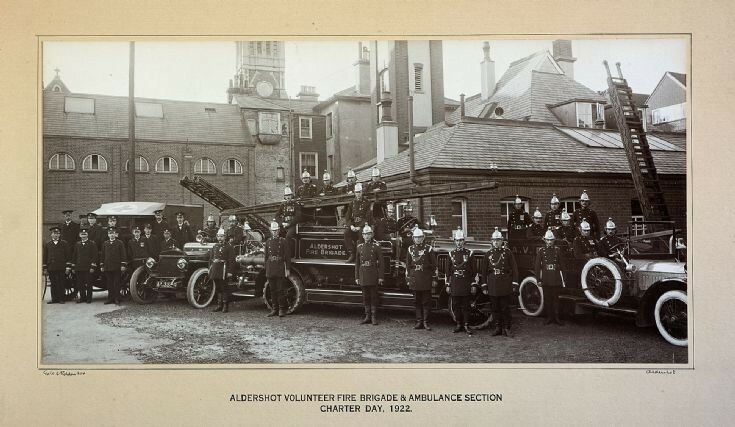 Extreme left is an ambulance, then a Daimler Chemical Escape, centre is a Leyland FEU4.V4 pump delivered 1918 with a car converted to a tender on the right. Added by S Ryan on 30 July 2018.